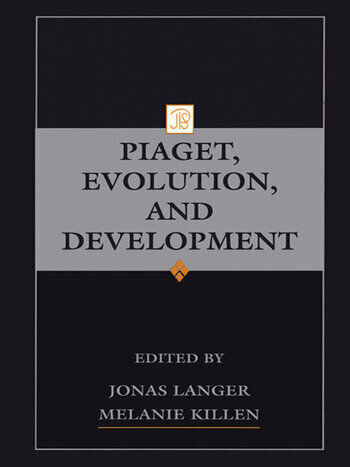 Based on the 25th Anniversary Symposium of the Jean Piaget Society, this book represents cutting-edge work on the mechanisms of cognitive, social, and cultural development. The authors-anthropologists, biologists, historians of science, paleontologists, and psychologists-believe that a rebirth is in progress relating to the study of these mental developments. This volume seeks to illuminate this rebirth. The varied findings and approaches reported reveal that contemporary comparative research on mental development is in a phase of differentiation and integration. Far from being global and fused, this comparative study is a flowering field of diverse disciplinary approaches, empirical phenomena, scholarly topics, and theoretical perspectives. It focuses on the comparative phylogeny, ontogeny, and history of mentation-most notably on the comparative onset and offset ages, velocity, extent, sequencing, organization of thought, symbol, and value development. The world's leading authorities on the subject discuss the implications of the study of evolution for our models of the ontogenetic origins, development, and history of mentation, as well as determine the constraints that evolution imposes on mental development. Bringing the current interest in primate cognition to bear on studies of cognitive development in humans, this book will be of interest cognitive developmentalists, primatologists and comparitive psychologists. Contents: Preface. J. Langer, M. Killen, The Comparative Study of Mental Development. Part I: Cognitive Development. M.L. McKinney, Cognitive Evolution by Extending Brain Development: On Recapitulation, Progress, and Other Heresies. J. Langer, Phylogenetic and Ontogenetic Origins of Cognition: Classification. F.Y. Doré, S. Goulet, The Comparative Analysis of Object Knowledge. A. Whiten, Evolutionary and Developmental Origins of the Mindreading System. Part II: Social Development. A.E. Russon, R.W. Mitchell, L. Lefebvre, E. Abravanel, The Comparative Evolution of Imitation. S. Savage-Rumbaugh, Scientific Schizophrenia With Regard to the Language Act. S.T. Parker, The Evolution and Development of Self-Knowledge: Adaptations for Assessing the Nature of Self Relative to That of Conspecifics. M. Cords, M. Killen, Conflict Resolution in Human and Nonhuman Primates. Part III: Cultural Development. M. Tomasello, Social Cognition and the Evolution of Culture. P. Damerow, Prehistory and Cognitive Development. E. Turiel, Notes From the Underground: Culture, Conflict, and Subversion.